The Big Apple is a fantastic destination for any holidaymaker, and families are no exception. The only trouble you’ll have is deciding which ones to miss! Here are some of our favourite family friendly activities in the city that won’t cost the Earth, but will make some really great memories. If you’re looking for a great view that your children are sure to remember forever, but that won’t damage your pocket too much, The Rockefeller Center is a great choice. You’ll get a wonderful view of the Empire State Building, and a backstage pass at NBC Studios is sure to be a hit with TV fans. The best time to visit, though, is Christmas, when the famous tree and ice rink provide some festive cheer. 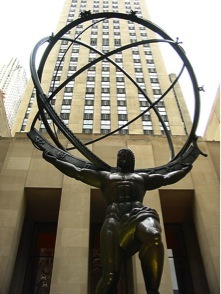 Find out more about things to do at the Rockefeller Centre here. Keeping the whole family entertained and getting around a big city can be draining on your finances – but if you take the Staten Island Ferry, you can do both at once for free! 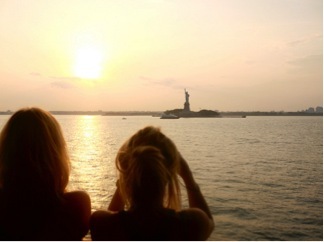 The 25 minute, five mile journey is great for both families and couples, offering a stunning view of the Harbour and a way to enjoy the Statue of Liberty while also dodging the queues. This website tells you all you need to know about the ferry. Staying in New York City without paying a visit to its most famous park would be nothing short of criminal, especially when you have a family to entertain. Just taking a frisbee is a great way to burn off the many slices of pizza you’re bound to have eaten, but there’s much more to the park for families. Try the Central Park Zoo, or for older children a performance at the open air Delacorte Theater might be in order. Of course, just walking around the park – or hiring a bike or even a horse-drawn cart – offers plenty of fun thanks to the endless opportunity for people watching, but the nearby attractions will help to make the day even more magical. The hotel from family favourite Home Alone 2 is nearby, as is the American Museum of Natural History. 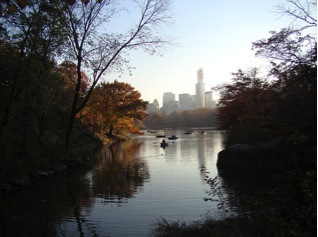 Check out lots more ideas on what to do at Central Park at this useful website. 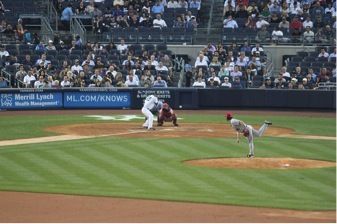 Even for non-sports fans, catching a baseball game is a great way to spend an afternoon – the atmosphere is truly electric. New Yorkers will probably tell you to head to a Yankees game, but for the uninitiated the Mets are sure to be just as entertaining! If your little sluggers fancy having a go, why not book them in for a private lesson? Enjoy your trip! What would your must-see attractions be? This guest post was written by Joshuah Marshall who works as a lifestyle concierge at Quintessentially (click here to learn more). Josh is an avid traveller and loves helping clients to find the hidden gems in cities all over the world.